Featuring Carnival Bob and characters made popular in the original, Carnival Games: Mini-Golf is home to larger-than-life, theme park-style miniature golf courses. 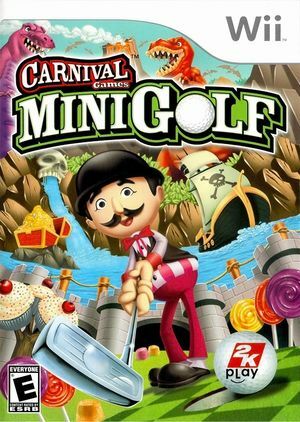 Whether back in time to the land of dinosaurs, keeping order in the Wild West, or searching for treasure on an island full of pirates, the game combines traditional miniature golf fare with action-oriented gameplay utilizing the unique capabilities of the Wii Remote. The graph below charts the compatibility with Carnival Games: Mini-Golf since Dolphin's 2.0 release, listing revisions only where a compatibility change occurred. This page was last edited on 18 October 2017, at 10:22.